Timeless pure lines. 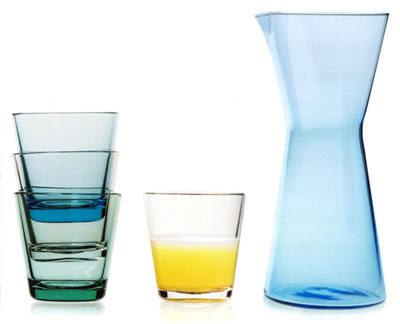 The modernist Kartio glassware by Finish Iittala is the perfect marriage of color and form designed for everyday use. 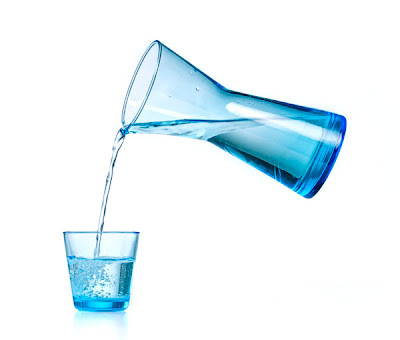 The Kartio Pitcher was designed by Finnish glass designer Kaj Franck in 1958. The Kartio Pitcher is a famous example of Finnish modernism. Kay Franck’s clear and softly tinted glasses, pitchers and bowls are sturdy and durable, intended for daily use and designed to last a lifetime. It is a fine specimens of Kaj Franck’s design philosophy in which beautiful basically means essential, functional and rational. Real beauty, Kaj Franck maintained, could only be found in the practicality of use.